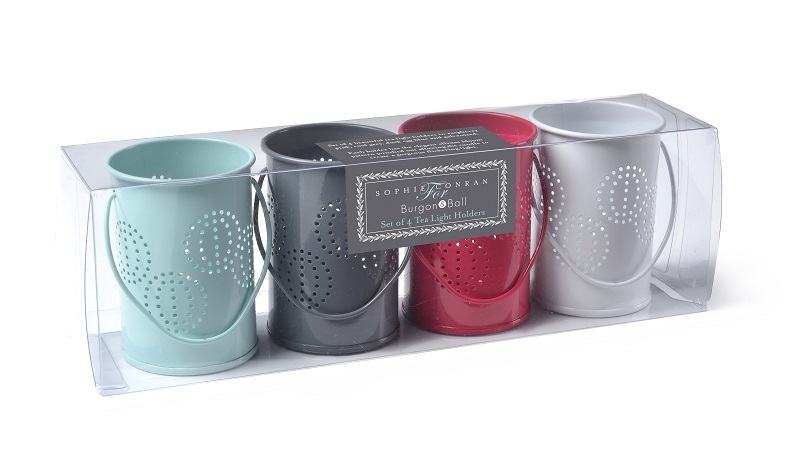 Boxed set of 4 enamel Tea Light Holders – 2 chalk and 2 blue. Each Tea Light Holder is pierced around the sides to create a delicate Allium bloom pattern that looks especially gorgeous when the light is lit and shines through. 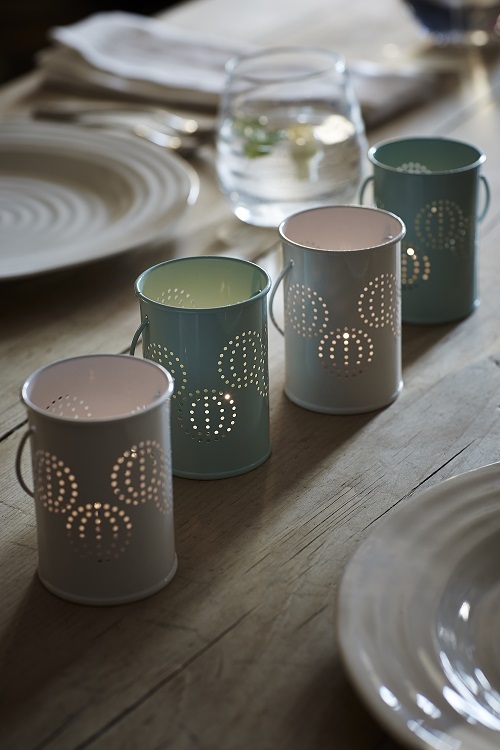 Each tea light holder measures 9cm x 6.5cm (excluding handle). 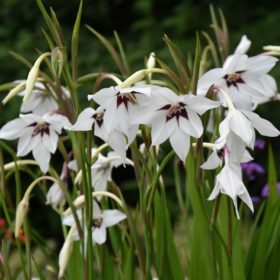 Gladiolus callianthus also known as acidanthera is white with a purple throat and is wonderfully fragrant.